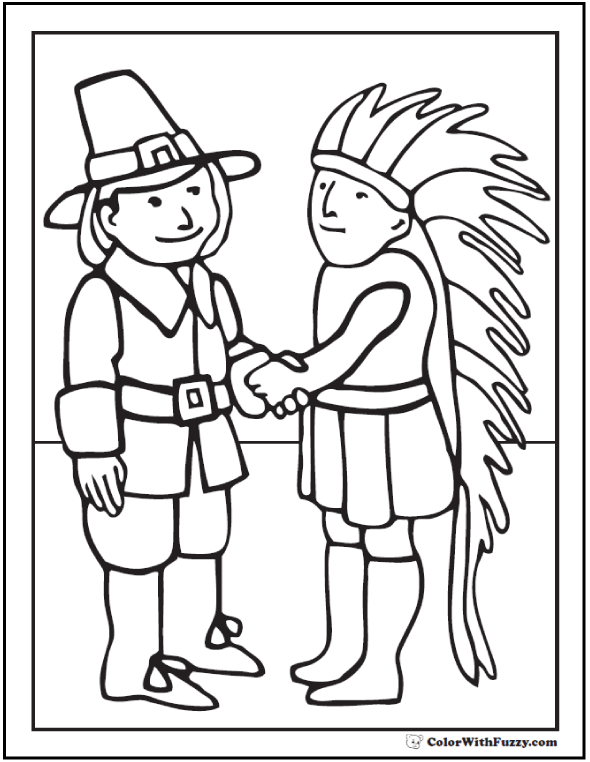 I like this Indian and Pilgrim coloring sheet because it is so friendly. It shows Thanksgiving friendship and good will. I especially like the big Pilgrim hat with the bright buckle and the Indian's full head dress. Print the PDF Indian Pilgrim coloring sheet here.